MOSCOW, February 2. /TASS/. The Russian government will allocate required funds for research and technological development (R&D) and for the development of new weapons following the United States’ withdrawal from the Intermediate-Range Nuclear Forces Treaty (INF treaty), Russian Prime Minister Dmitry Medvedev wrote on Twitter on Saturday. "The unilateral, triggered by nothing withdrawal of the United States from the INF treaty aggravates the situation in the field of global security and strategic stability," Medvedev tweeted. "This will not be left without an efficient response," he warned. 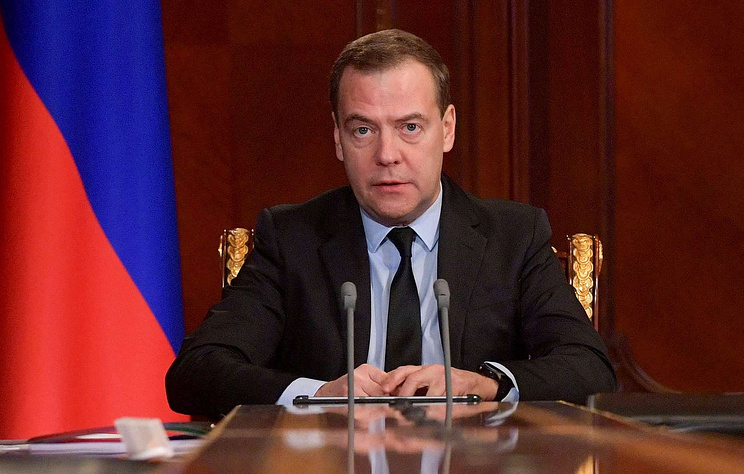 "Taking into consideration the US withdrawal from the INF Treaty and a response in kind announced by the president of Russia, the Russian government will be considering required means and mechanisms to fund R&D and the development of new weapons," Medvedev stressed.